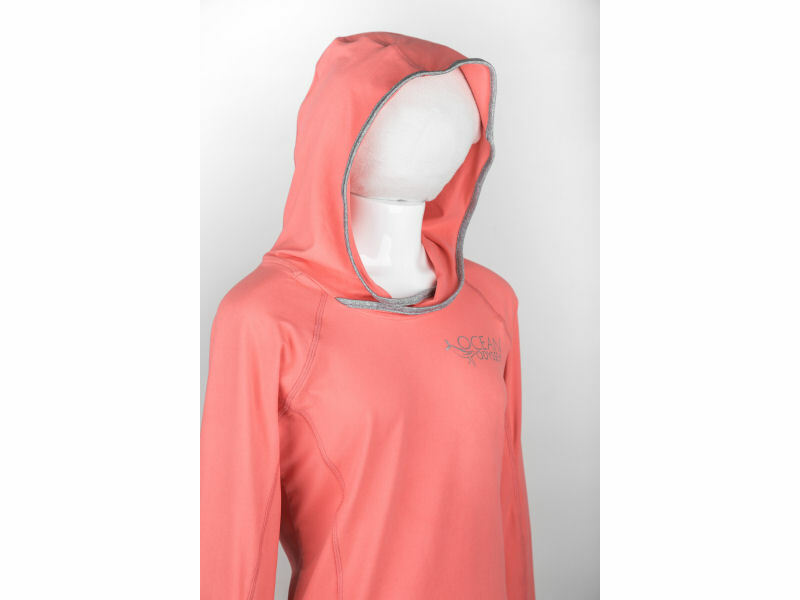 Coral brushed poly spandex ladies hoodie. 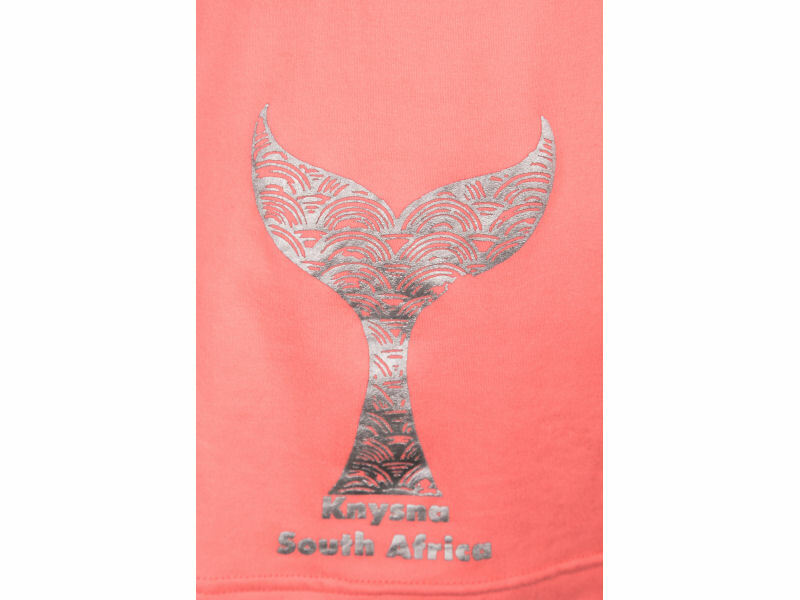 Silver whale tail print on the bottom right Including “Knysna South Africa”. 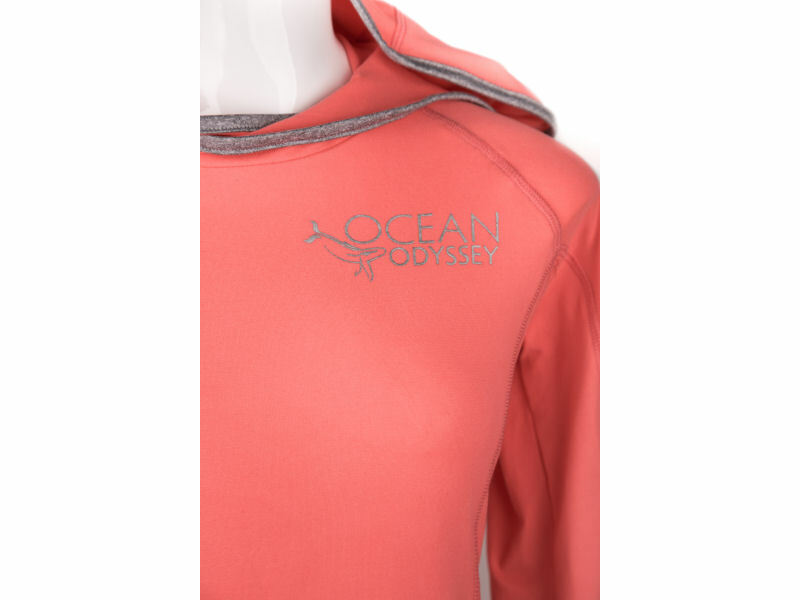 Silver Ocean Odyssey Logo on the top left. 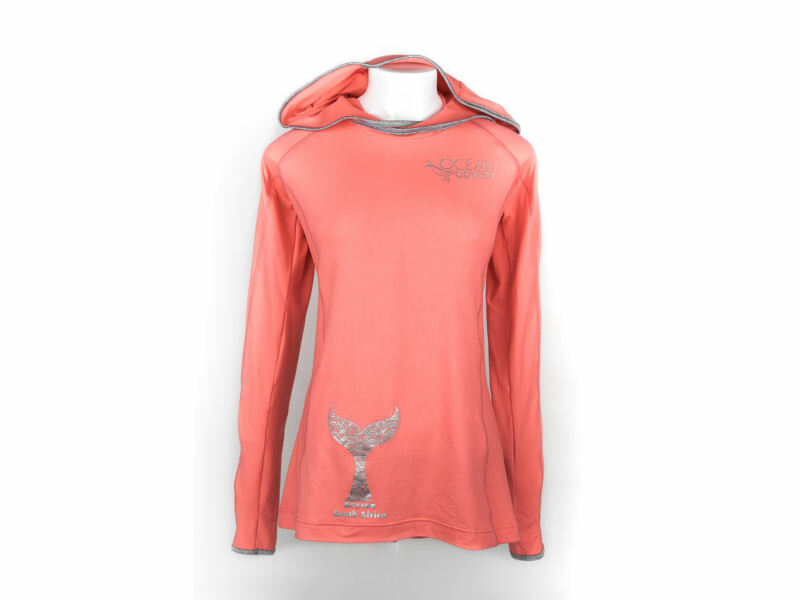 Wrap neck hoodie with a grey melange trim on the hoodie and cuffs.